Usually, I’m the big picture person. I think about what general location would be good and when we should go. Then James drills down into the details like flight, hotel, restaurants, and what to see, etc. This is why I was so proud of myself when I planned an upcoming trip. The whole thing! But it didn’t quite work out that way . . . So I didn’t actually book anything, but I thought I was in good shape on an upcoming trip to Penang. I looked at the flight I wanted. I picked an AirBnB for some of the nights. I picked a resort hotel for the other night. I looked at a few hawker centers for food and got a general sense of the sights. Ta da! Trip planned. The end. I am crazy incredibly grateful for all that James does on trip planning, but I couldn’t help being a little frustrated. I had already planned the trip. We could have planned an entire OTHER trip in the time he spent looking at stuff. Why was he spending SO MUCH TIME on this? I am a total satisficer. When I find something that meets my criteria, I stop looking. I’m done. That doesn’t mean my standards are low. It just means that when I find something that works, I don’t see the need to look any more. This explained so much about why we couldn’t see eye to eye on travel planning. Yes, I should do more on travel planning, but I will never plan the way James does because that’s just not my way. 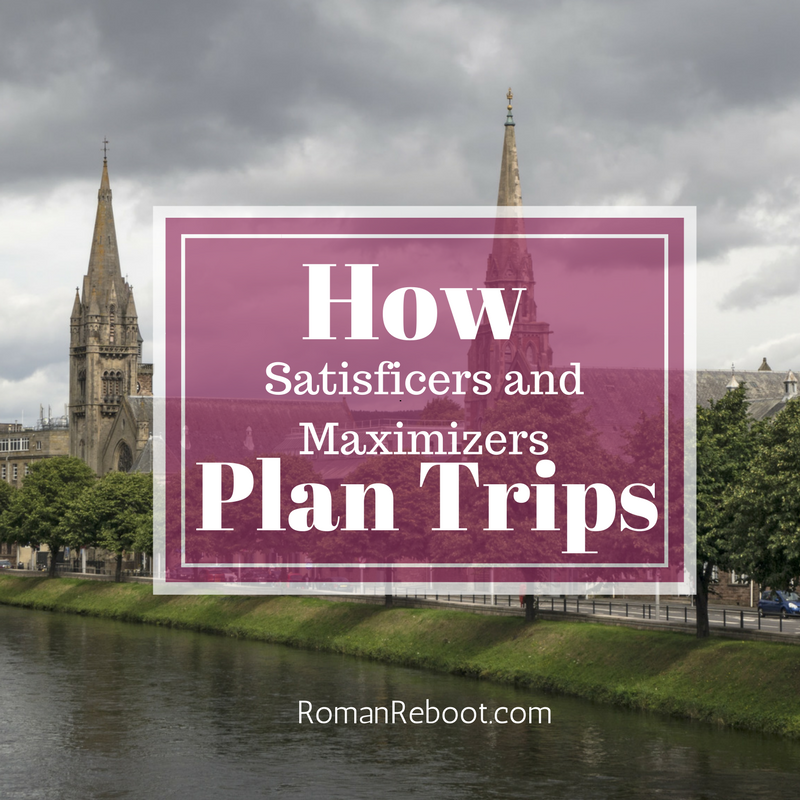 Are you a satisficer or maximizer? Have you noticed it on your travel planning? Has it caused any dust ups with significant others?